Øvingshotellet is a rehearsal studio with 48 fully equipped rooms of different sizes in the middle of Oslo. 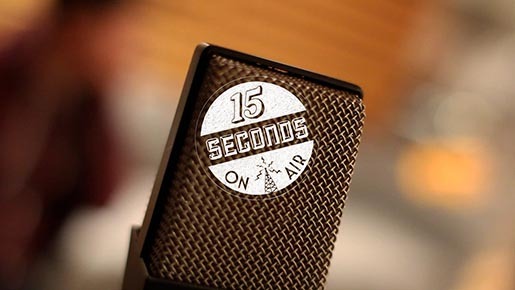 15 seconds on air, online at 15secondsonair.com, is a project aimed at putting Øvingshotellet and the people who rehearse there in the spotlight. Jingles for øvingshotellet, performed by bands that need to practice, are played on radio station ROX FM, no matter which genre, skill level or instrument. The campaign this month won a Gullmikken (Gold Mickey) award for radio advertising. The 15 Seconds on Air campaign was developed at Saatchi & Saatchi Norway by creative director/copywriter Oyvind Waage, creative director/typographer and designer Eiliv Gunleiksrud, art director/illustrator and typographer/designer Snorre Martinsen, illustrator, photographer, typographer and designer Linus Hjellstrom, photographer/VFX producer Joe Langdon, intern copywriter Mats Onsum, intern art directors Kristoffer Damskau and Anna Berg Gjendem, account manager Sverre Midttun, producer Haakon Fretheim. Sound was designed at Både Og.